All fashion accessories have a beginning and an evolution. They all started life for practical reasons: to protect our feet from the cold, our faces from the sun, our personal belongings from theft, etc. Even jewellery, despite the fact that it is more decorative in nature, has in turn been used to distinguish various social groups or classes. Eventually these accessories take on a life and a style all of their own. 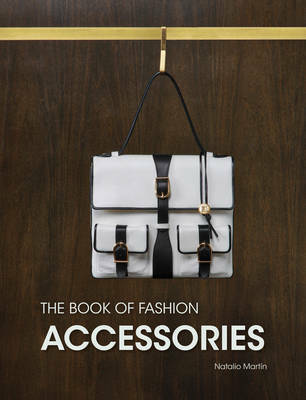 Such facts are important to fashion experts and are demonstrated in the minute details in this book. It presents a gallery of innovative photographs and unveils a wide range of contemporary fashion accessories in various chapters: shoes, bags, jewellery, watches, sunglasses, hats, shawls, gloves, etc. Those that think that everything has already been invented in the accessory world are wrong. Today's fashions have obviously drawn from centuries of costume history. However, new techniques and new materials, combined with the explosion of contemporary creativity, have generated a challenging whole world of accessories. The final chapter, devoted to the concept of style, teaches you how to play with accessories and combine them to create different styles inspired by a particular era, colour or urban trend, with a classic or futuristic look about them.